The TGV network connect many cities across France. The TGV Atlantique is a high-speed railway line running from Paris (Gare Montparnasse) to Western France. TGV’s to the Atlantic coast are leaving from Gare Montparnasse. First (direct) train from Paris is at 7.40, arrival in Bordeuax at 11.11. Other departure times in the morning are: (7.50-11.24), (9.10-12.25), (10.05-13.14),(10.45-14.24), (11.15-14.38) and (12.05-15.25). Last TGV is 20.15, arrival in Bordeaux is 00.10. Cheap fare is €45. Standard fare 2nd class is about €70. Cheap fare 1st class is €60. Standard fare 1st class is €108/115. There is also a night train to Bordeaux but this is not a TGV. Departure night train is 23.10, arrival Bordeaux 7.09. Standard rate is about €45. Travel time is 1 hour and 15 minutes. Cheaper rates from Paris to Tours are with Intercites trains from Gare Austerlitz. Travel time is then longer: 2 hours and 30 minutes. Standard rate for the TGV is between €36-€59. Travel time is 1 hour. Cheaper rates from Paris to Le Mans are with TER trains. Travel time is twice as longer than with the TGV: 2 hours and 15 minutes. About 10 trains daily from Paris to Irun (French/Spanish border). Departure in Paris from from Gare Montparnasse. Standard rate is between €84-€104. Some trains are direct. 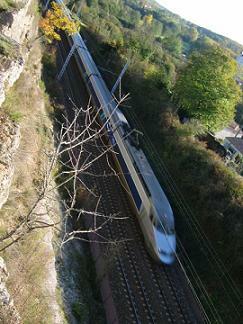 Most trains are via Hendaye or Bordeaux to Irun. Travel time is between 5 hours and 8 hours and 40 minutes. First train is leaving Paris Montparnasse 7.10, arrival Irun 13.16 Cheaper rates from Paris to Irun are with Lunea night train from Gare Austerlitz. Travel time is then 8 hours and 30 minutes.